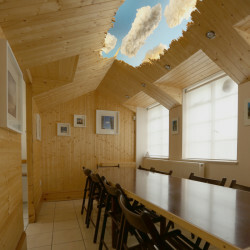 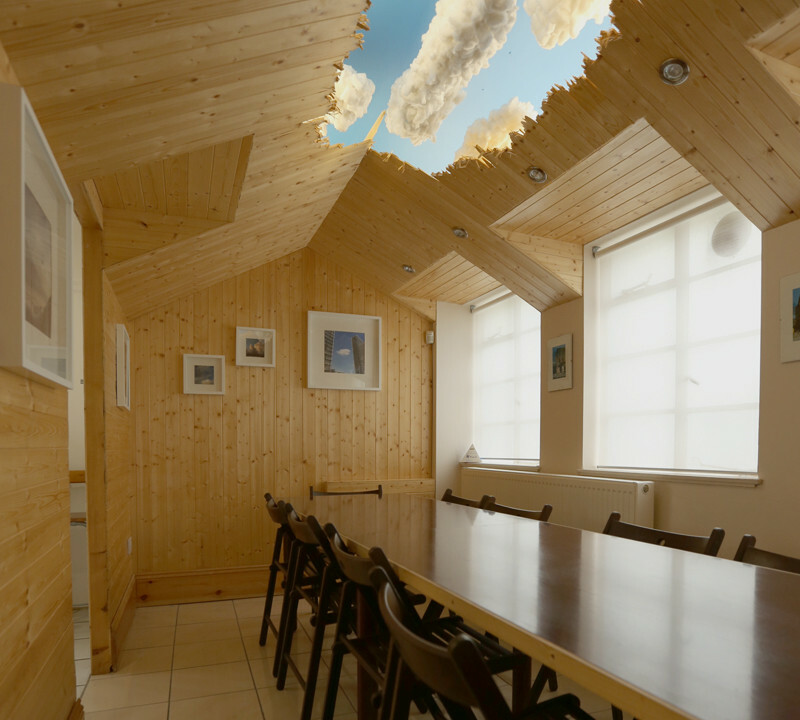 We like to think studio one is well thought-out and pleasant to work in. 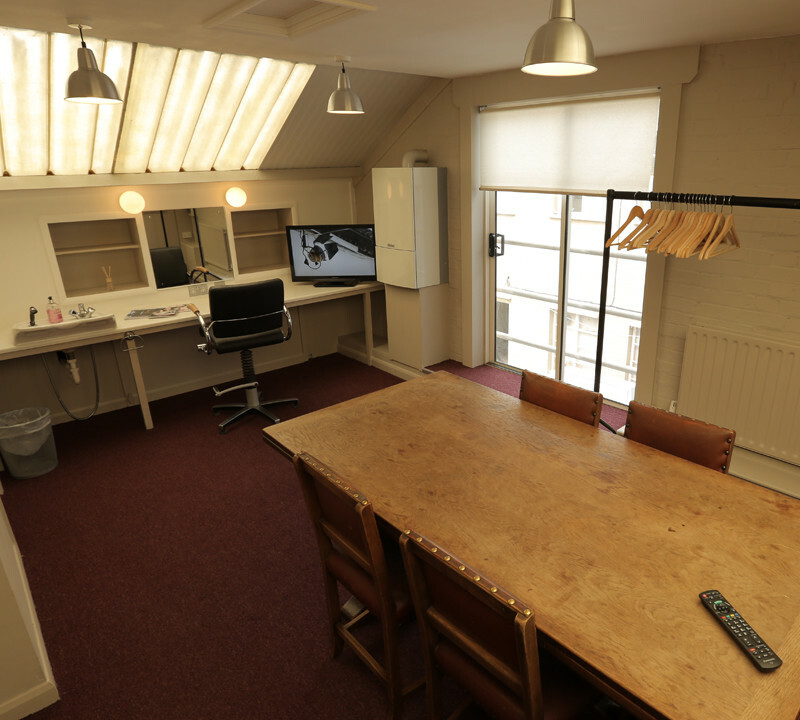 For a studio of this size the additional space is generous and includes two dressing rooms, one large and one small. 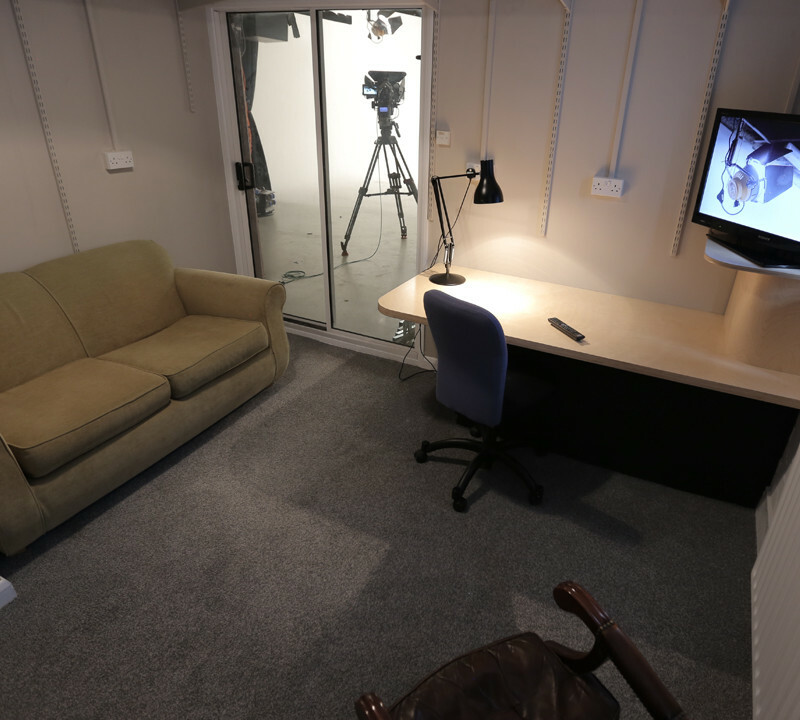 Both are equipped with showers, toilet facilities and TVs that can also display what’s going on in the studio. 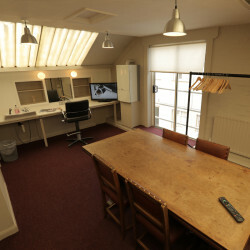 In addition to the dressing rooms, there is a client room adjacent to the studio through transparent doors with its own TV, again capable of showing the studio output. 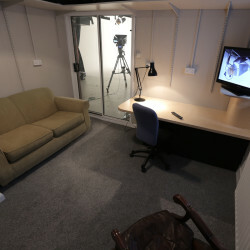 This room can also be used as a control room for multi-camera shoots and has a cable duct into the studio. 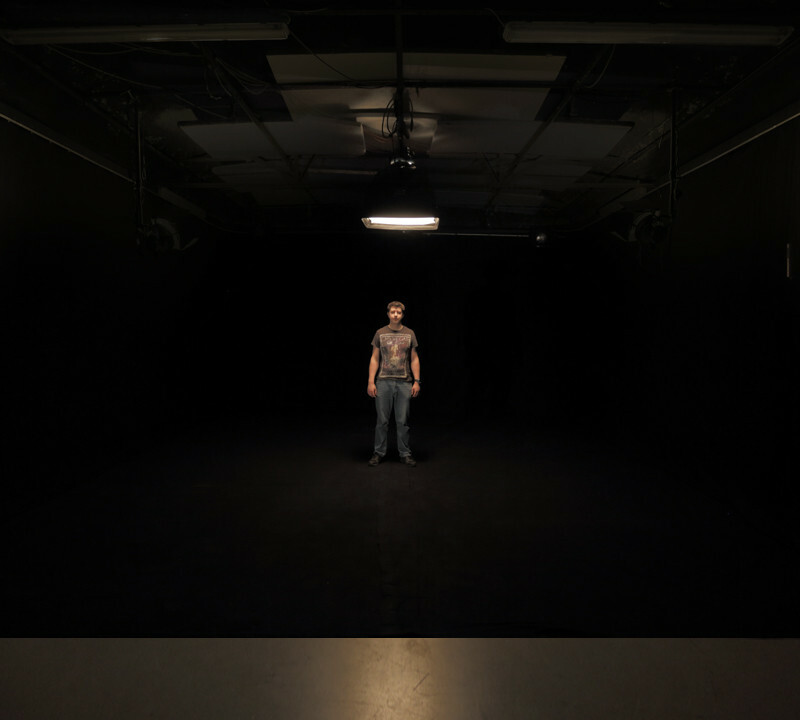 Studio one boasts very good soundproofing and a silent but powerful ventilation system that keeps it at a comfortable temperature. 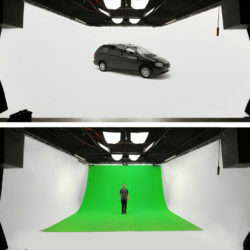 The studio has a 3 walled white cyclorama infinity cove, black out drapes that run around the entire cove or, if you’re shooting chromakey green screen, we will rig a drape for you that covers the back wall and most of the floor. 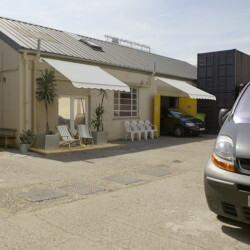 We can paint the studios if required but the advantage of using drapes as opposed to a green painted studio is that you only want the areas behind your subject to be green. 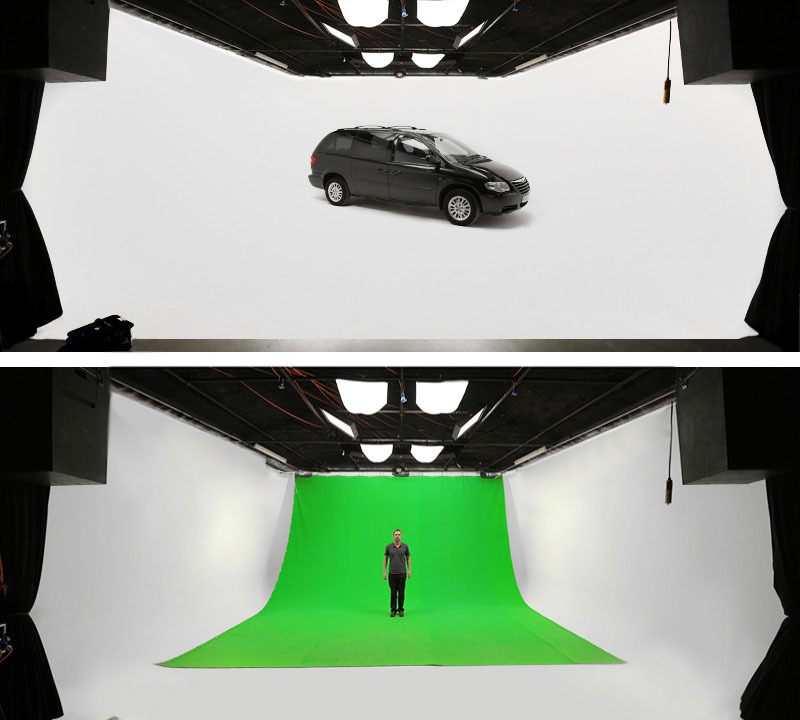 Any green that is out of shot just adds more green spill/ bounce to your subject which degrades the final result. 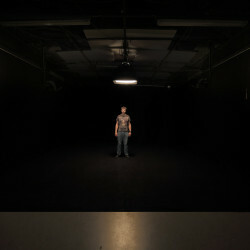 So with drapes you can just fold up the out of shot areas of the drape, reducing any green bounce. 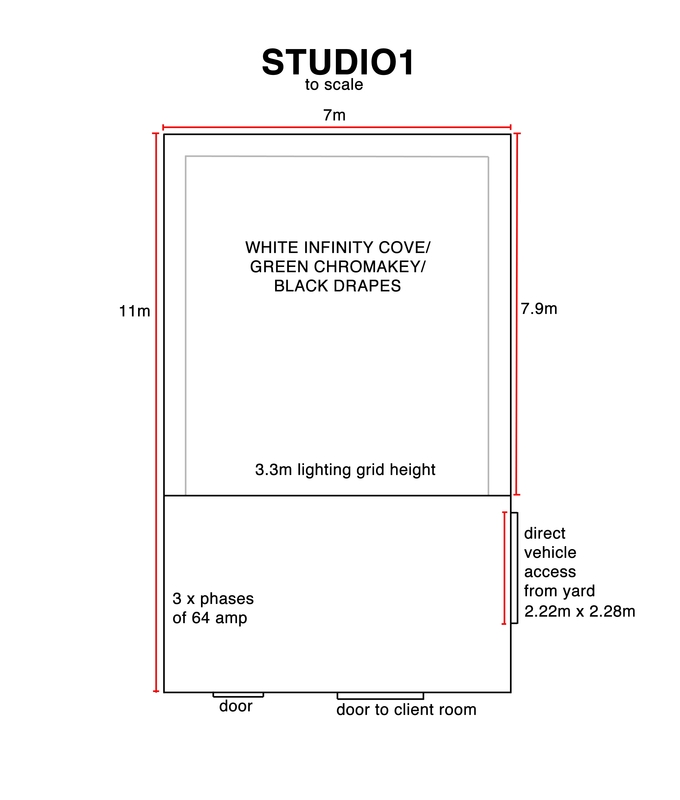 There is a reassuringly wide range of lighting and studio accessories on the premises, including smoke machine, turntables, filters, black wrap, c-stands, grip equipment, and a lot of useful bits and pieces. 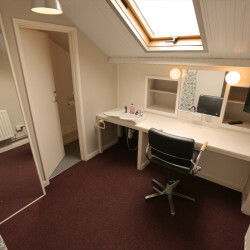 So even if you’re bringing in your own equipment we can help you out with things you didn’t think you’d need, or that haven’t turned up, even if it’s just a cable. The hire of the studio includes a minimum of three parking spaces in our secure yard, which gives direct access to the studio space, making getting equipment and sets in and out a breeze. 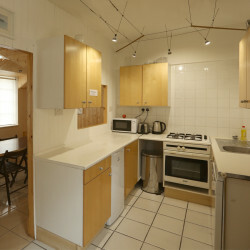 A fully equipped kitchen and dining area accommodates both studios. If you’re unsure if it’s right for your needs please feel free to give us a ring, or even to come down and have a look, we would love to show you around.